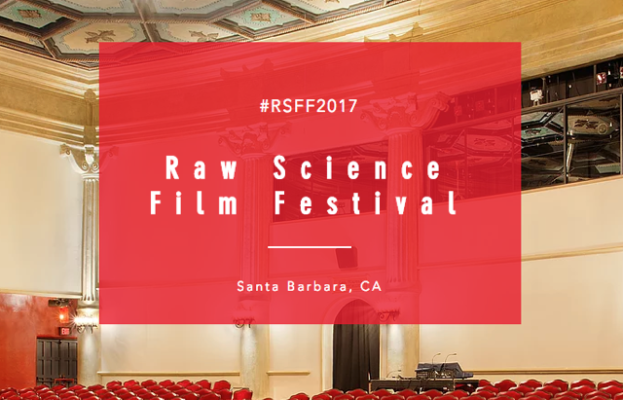 The 4th annual Raw Science Film Festival honors the best media centered on science and technology from around the world. The mission of the festival is to celebrate science media and ensure fact-based experts stay at the forefront of popular culture. This “Bridge between Science and Media” will honor luminaries and celebrities in science, technology, media, and entertainment and showcase best-in-class films. The culmination of the three-day event is a black-tie red carpet awards ceremony on Saturday, January 6 at the Lobero Theater in Santa Barbara, CA. The 100th birthday of Sir Arthur C. Clarke will be celebrated with inspiring experts on interstellar travel, human longevity, scalable healthcare, the ethics of space travel, and lunar colonization! Recent Nobel Prize winner Kip Thorne will roll down the red carpet via Beam robot to present the annual Kip Thorne Gravity Award. Partners include UCSB Department of Physics, Arthur C Clarke Center For Human Imagination, Rosalind Franklin Society, Conrad Foundation, Explore Mars, and the Anti-Defamation League. The three-day event also includes a VIP reception, film screenings, exhibitions, lab tours, and sic-com workshops. The festival brings science fiction to life and to work in an inspiring weekend of fun, entertainment, and public service.